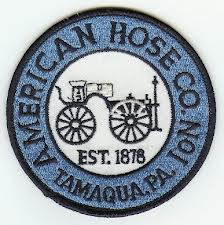 1839: Tamaqua Fire for L770 and South Ward for and Engine, 56 Wiggen St in New Philadelphia for reported structure fire. AHCO crewed L770 and responded, South Ward responding. Update from county, fire to be on the second floor in electrical outlet. Ladder and engine arrived on scene and returned to service shortly after.